Autograph album that was presented to Mrs. J. C. Benton by W. L. Lowell at Christmas in 1892. 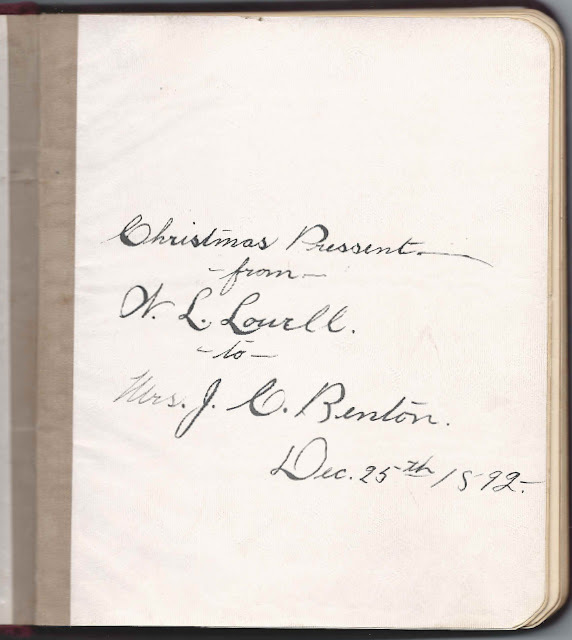 She was Elizabeth "Birdie" (Lowell) Benton, wife of Julius C. Benton and sister of the presenter, William Luther Lowell. 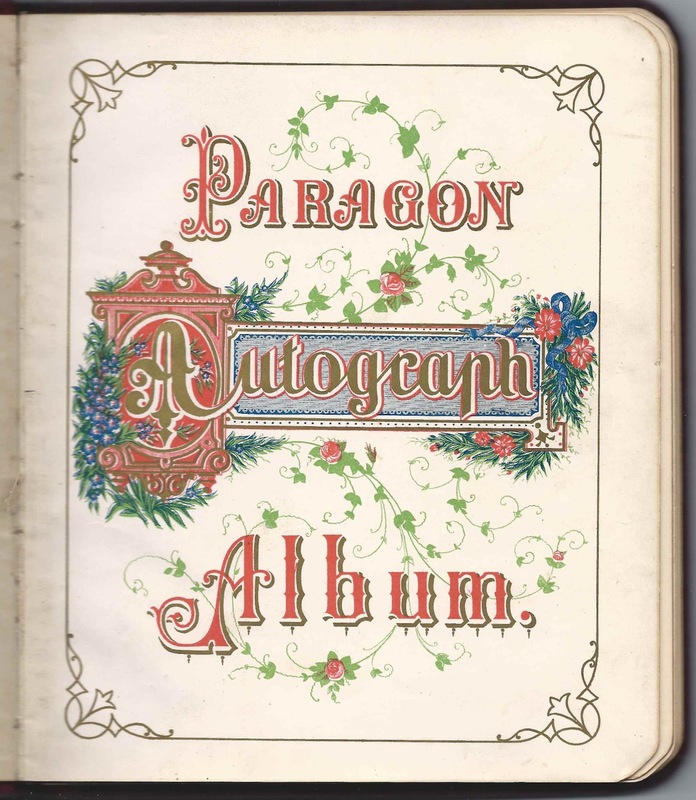 The album is approximately 8-1/2" x 7" and contains many pages, but only five with sentiments on them. In addition to inscribing the presentation page, William Luther Lowell signed another page in the album on Monday, April 4, 1894 at Lily, Colorado. 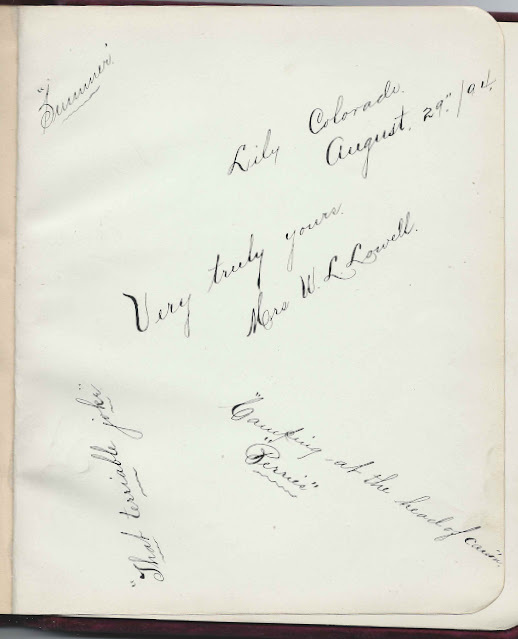 Miss Thema Bradshaw also signed a page on April 4, 1894, at Lily, Colorado, as well as a page in August 1894, after her marriage on May 1, 1894, to Birdie's brother William Luther Lowell. William and Thema had a daughter, possibly also named Thema, born 27 September 1895 at Park City, Utah. Sadly, William Luther Lowell was killed in a railroad collision on the Midland Railroad on April 12, 1897. The 1900 Census found Thema and her daughter in Denver, Colorado. On 23 July 1900 Thema married Henry C. Lydiard at Idaho Springs, Colorado. 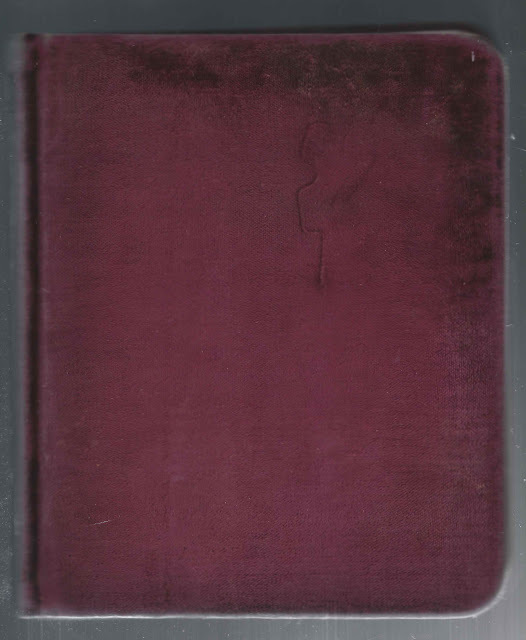 By 1910, Henry, Thema, her daughter from her first marriage, and some other children were living at Bloomfield, New Jersey, where they apparently stayed for some time, perhaps to the end of their lives. The enumerator indexed the older daughter's name first as Lowell, and dittoed the rest of the children; their names could have been Lydiard, however. Or one or more of them could have been nieces and nephews of Thema's first husband William Luther Lowell. 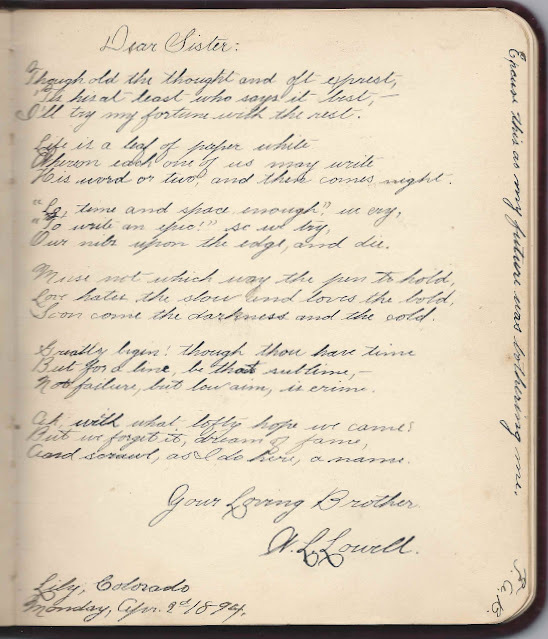 The last signer in the album was another of Birdie's brothers, Charles W. Lowell, who inscribed his page at Colorado City, Colorado, on December 24, 1895. 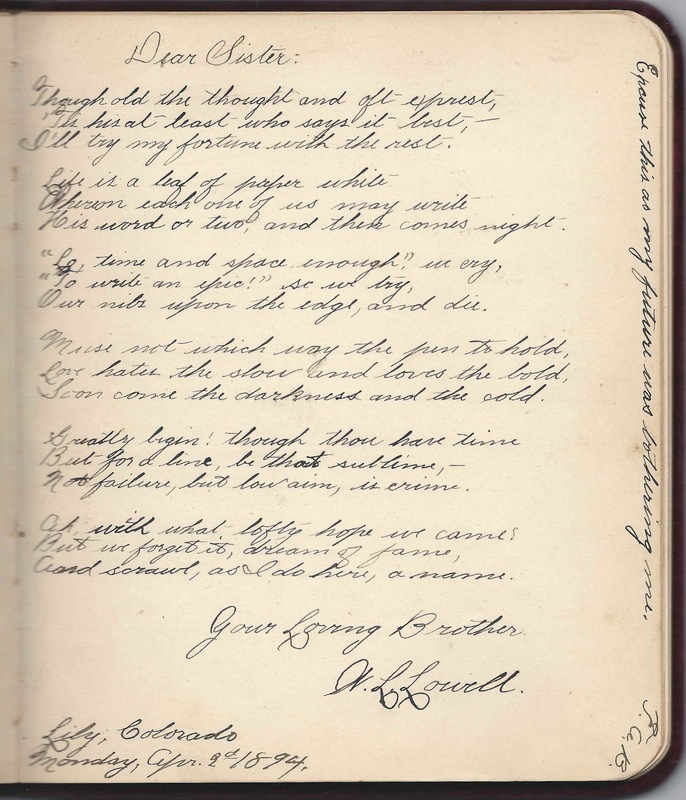 Elizabeth "Birdie" (Lowell) Benton was born about February 1871 in New York, daughter of John Wesley Lowell, who was was born at Bristol, Vermont, about August 1837. 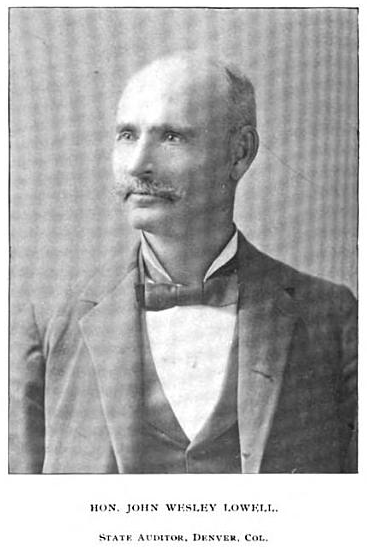 He became a postmaster, state auditor and legislator in his adopted Colorado. Birdie's mother may have been John Wesley Lowell's first wife Sarah (Harrington) Lowell, whom he married at Grand Rapids, Michigan, in 1859; she was born about 1837 in Massachusetts. Or Birdie's mother may have been John's second wife Elizabeth (Leroy) Lowell of Oswego, New York, whom he married in July 1871. This information comes from The Historic Genealogy of the Lowells in North America from 1639 to 1899, by Delmar Rial Lowell, where I found at least a couple other discrepancies on this particular branch, so I'm not sure of the dates. Online trees have Sarah (Harrington) Lowell's death date as 1870, but I couldn't find a record of that. The confusing part is that there is a Sarah H. Lowell buried at Grand Rapids, Michigan, who was born in 1836 and died in 1880. She's buried with a Johnie Lowell, who was born in 1873 and died in 1877. Was she Sarah (Harrington) Lowell or another Sarah H. Lowell? Hopefully a reader will have information to clear up the confusion. 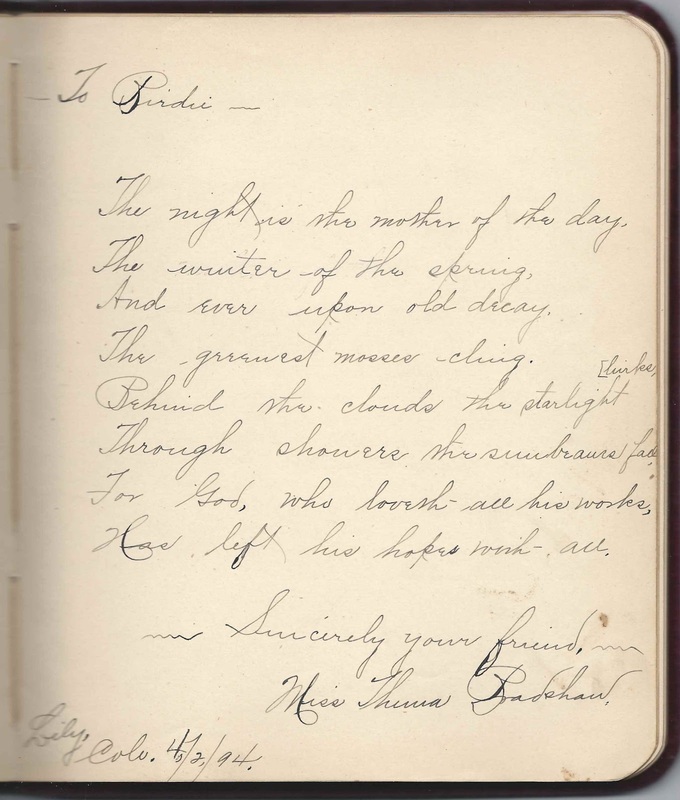 Sadly, it appears that both Birdie and Julian died in 1901. By the time of the 1910 Census, their daughter Ida was living with her maternal grandparents John W. and Elizabeth Lowell at Wellington, Colorado, and son Valentine was a servant in the household of the Marshall family in Genoa, Illinois. I lost track of Ida after 1910, but Valentine married Mollie B. Foley and had at least two children. If you have corrections and/or clarifications to the information above, or information on any of the other signers in this album, please leave a comment or contact me directly. Thanks! 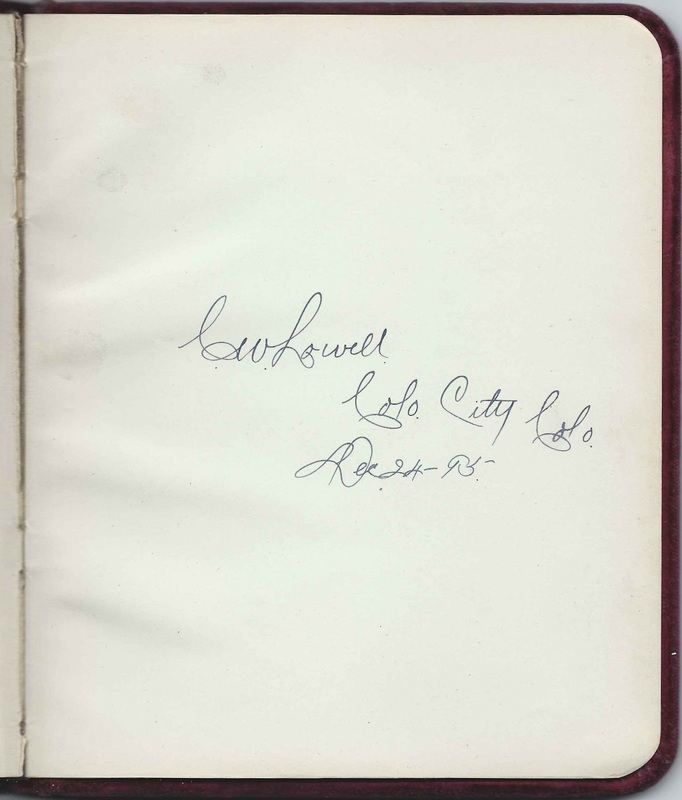 I'm actually doing some light digging about John Wesley Lowell, and your post came up. According to the book "Wyman Historic Genealogy, Ancestors and Descendants (1595-1941) of Asa Weatherby Wyman" by Vincent D. Wyman (1941), John Wesley "m. first, 1859, Sarah Harrington, who died at Grand Rapids, Michigan" [pg. 92]. The book does not mention any children with Sarah (though there probably were some), only with his second wife. Thank you for this. I'm still not clear on Birdie's mother.